Want to add effects and filters to your photos? Is there a way to turn an ordinary snapshot into an incredibly beautiful and atmospheric picture? Yes, there is! 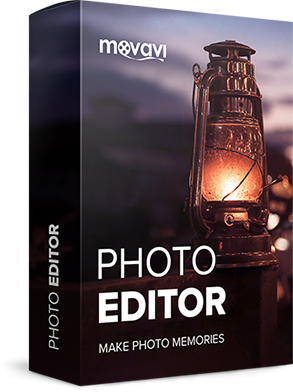 Just add photo effects and filters using Movavi Photo Editor – a simple, yet powerful, program for photo montage that will make your photos look fantastic in a heartbeat! 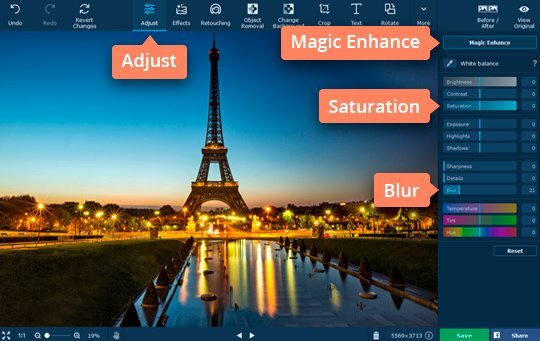 To learn how to apply effects and photofilters, download Movavi Photo Editor for PC or Mac and follow our step-by-step guide. Click Browse for Images and choose the image you want to edit. You can also drag and drop your file onto the program window. 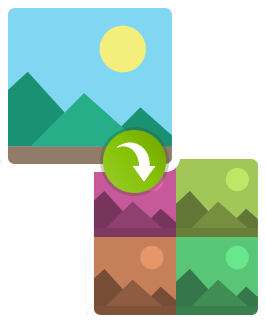 In the Adjust tab, you can change various image settings like contrast, saturation, blur, and more. Click Magic Enhance to improve the brightness and contrast automatically. If you want to adjust individual parameters manually, drag the respective sliders to get the effect you want – for example, dragging the Saturation slider to the right will make the colors more vivid. Use Blur to make the image fuzzier and create a dreamy effect. 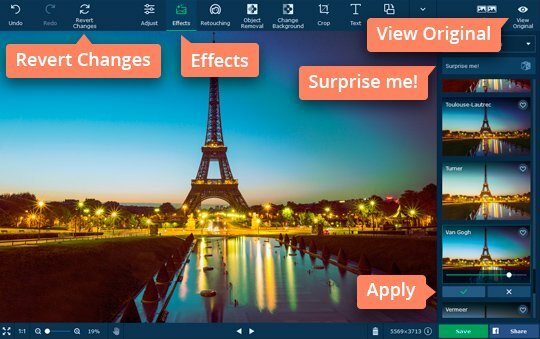 To view other types of effect, go to the Effects tab and look around the different categories. For example, to create the popular vintage effect, open the Classic category and choose Sepia or Lomo. If you want to apply a pencil drawing effect, Charcoal from the Artistic category is your best choice. Click any effect to see how it will look. You can adjust the intensity of most effects and filters; the slider will appear under the icon if this option is available. Drag the slider bar to adjust the intensity of that effect. You can also click the Surprise me button to pick a random effect. Once you're satisfied with the result, click the Apply button. 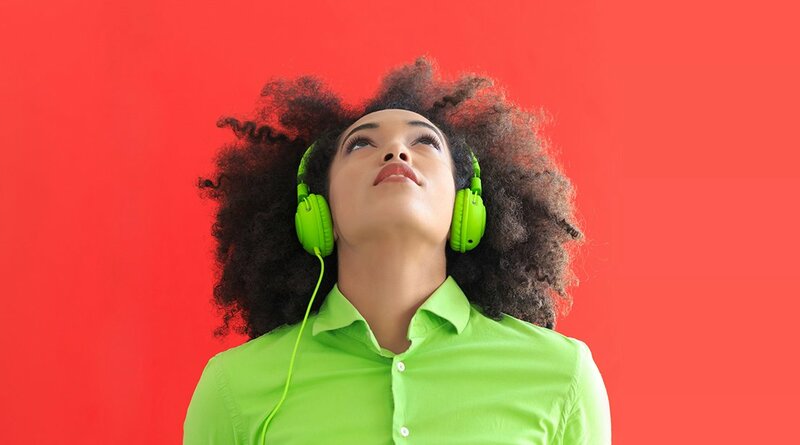 Check out the entire collection, then have fun adding different moods to your photos. To compare your edited photo with the original, hold down the View Original button on the panel above the image. If you want to cancel the changes, hit Revert Changes in the upper left of the program window. 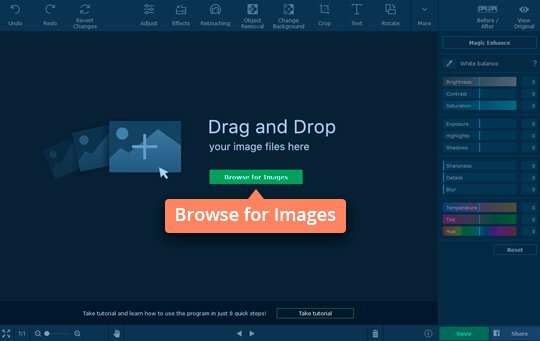 Click Save in the lower right corner of the interface, choose a folder, and save your image in any format you like. 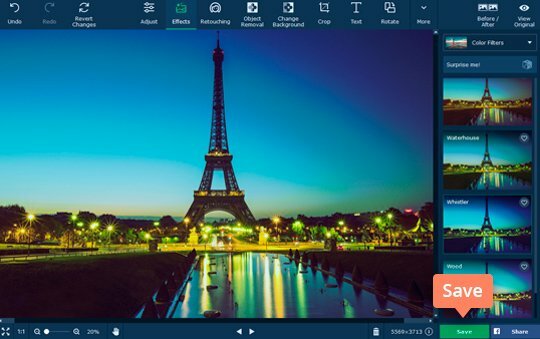 Movavi Photo Editor is more than just photo effect and photo filter software. It also lets you add text to a photo, change a background, remove skin blemishes, and improve your photo in many other ways!